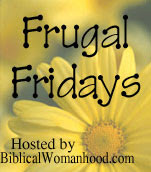 Check out my Bloggygiveaway!I know it is Wednesday, and I always participate in WFMW. Today is no different, but it is a different kind of post. Not something someone can really change and do, but something that maybe will help someones attitude or make them think. When I was young I had the kids home and loved it. Oh, they went to school and all, but I loved the vacations time, snow days etc when they would be at home. I was a stay at home mom, enjoyed the kids (most of the time! I had 5 so the fighting was something else at times). As the kids got older and began to date I was a bit concerned. Yes, there was the usual concerns about what they were doing, but there was also the concern over I AM GETTING OLD!!! Then, they had the nerve to marry. NOW I WAS GETTING OLDER!! Depressing. Then, one of them had the nerve to tell me I was going to be a grandmother. Now I was really upset! Yes, upset. This meant I was as old as my mother and grandmother. I knew that the cane was coming next! I was depressed. Very. Sean was born and I loved him, but I did not want to be a grandmother. Call me Grammie, it helps to not feel so old. Sean broke me in a bit, who can not love a baby? Then my 4th child married and let me know that grandchild number 2 was on the way. OH NO!!! A walker was coming now! How much older can I get before they put me in the grave? However, by now I was broke in, so when Ivy was born I was a little more accepting of the idea and enjoyed another grand child, but I did not want to be known as a grandma. So, people thought she was my child and I let them. Where ever I went and anyone asked how old “MY” baby was I just told them. Why hurt their opinion? Well, this year I will be old. I have 18 grandkids and more coming I am sure, I love it. I still hate the word grandma, but I love the kids. However, I do not want to be old. I am crazy!! Having grandkids is fun, you have them, enjoy them, send them home and have peace at night. You can play with them, bake with them, teach them, all the joys of motherhood, but still get a nights sleep! I have one granddaughter all day, I love it, but at 4:37 she leaves. I can eat supper in peace, but I miss her. See, I am crazy! Now, I look at myself and my attitudes and wonder what is with my thinking. I am going to be 60 this year. It is the end of the world to be that old. Yet, when I think back to being 25 or so and having to live all I have lived over again I do not want it. Yes, there were plenty of joys, and I still think of them. Being a grammie you have the best of both worlds. What works for me? Being a grammie, but not being old. However, since that is not possible, I am trying to enjoy the grammie and the old. Sometimes life just makes up have an attitude adjustment, but sometimes those adjustments come in steps over a long time. Are their things in your life that need an attitude adjustment? Work on it! It is worth it and it works for me! The cookie-cutter shark is only a foot to a foot and a half long. It doesn’t have powerful muscles and can’t swim very fast. But it doesn’t need to. Lunch serves itself. The shark typically lives between 600 and 3000 feet below the surface of the water. Looking down from above one of these sharks, you probably would not see it, because the top of it’s body is as dark as the deep waters where it lives. Looking up from below, you would not see the dark outline of the of the shark against the light that filters down from the surface. This is because the shark’s first deception: its underside is completely covered with light-emitting cells that match the illumination from above. It seems as if God made a plan: The only creatures that will share their lives with my husband, Bob, will be very needy ones. This includes 4 cats, 2 dogs, 1 pet duck, 1 mouse and Grandpa. Grandpa, our plain old catfish, is a perfect example of why I’ve been married to Bob for 30 years. We had a blight in our 29 gallon aquarium a decade ago. All the fish died except Grandpa. Bob cried, as he took his brood outside and buried them. So 20-year-old Grandpa, who’s 1 inch long, has the whole tank to himself. He needs high maintenance. His water needs constant changing and daily testing for impurities and lots of other care. Grant, our 19 year old pet duck, needs a lot of help. In winter, Bob keeps her warm with a heat lamp inside her coop. When the electricity goes out, the lamp won’t work, so Grant spends her day in our bathtub. She’s very arthritic. Everyday, Bob grinds calcium and aspirin into her food, and stays outside to make sure she eats it. This season, mice come in our house for warmth. With a Hav-A-Hart mouse trap that captures them alive, Bob gets a mouse a day. Each morning I hear, “Time to take the mouse out back.” I haven’t suggested that it’s probably the same mouse, who’s unquestionably getting an enormous kick out of all this. I bet that after Bob frees him, that mouse does a quick spin and comes right back in, laughing. Our old cat Josie, had a prognosis of 2 years, maximum, to live with treatment. On frigid winter days, Bob made the 2 hour drives to a specialist vet at Tufts, a large animal hospital in Massachusetts. This past November, she’s outlived all expectations and is happily jumping around like a kitten – now over 3 years since her dire prognosis. I believe Josie’s wellbeing is not just from treatment, but equally from Bob’s love. Five years ago, I became disabled, leaving Bob as my full-time caregiver and keeper of the house. Each morning, when he wakes me, he is smiling throughout the routine. After putting slippers on my cold feet, he makes the room cheerful – opens the blinds, sticks a cat in my arms, calls one of the dogs to jump on the bed, puts coffee on my computer table – helps me (and whichever cat) into my chair – oh, and of course I get long loving sloppy kisses – from the dog, and then from Bob. So – all of Bob’s needy creatures, great and small, live in heaven on earth. But in reality, Bob thinks he’s the one who has it better. No matter the time or place; how busy he is; how far from home he may be, he feels blessed to come rescue one of us – even if my, “Please come home,” call for rescue is just to have him hold a very frightened trembling hand . . . or a paw. I think God made a good plan. I want to share something that works for me and I know will work for you also. Today there are many soaps on the market, but the old tried and true ones are now considered outdated. In fact some are downright hard to find! We have all kinds of medicines, salves, laundry soaps etc out there, each for it’s own purpose. All of them make us feel we need to spend more money. For many of us, we try to live frugally, try to live simple, yet we often feel there is nothing else to do but buy what is out there. I have some things I do that work and save money. I actually could not decide if I should put this on the works for me Wednesday or on the frugal Friday! First, many of us make our own laundry soap. For some the ingredients are a bit hard to find, but I found a good source for them which I will share at the end. One of the ingredients in my recipe is Fels Naptha soap or Octagon soap. These are both a bar soap that is great for laundry and stains. I have some other uses too and want to share them with you now. Grate a small amount and let it set in a little water to make it soft. Knead with your fingers until it is “mushy” and pliable. Add sugar. Yes, sugar, plain white sugar. Make a paste out of it and knead till the sugar is softened. Put it on a boil, splinter or other infection and cover with a band aid. It will draw out any infection quickly. As a kid we used this on many infections and splinters and saved many a trip to the dr.! If you find you got into poison ivy or oak wash good in this soap. It will dry up the pimples. If you catch it right away, as soon as you see you got into it, wash in the soap and you will not get the poison ivy or it will not be very bad. Rub into clothing as soon as you see something that would stain. It will usually prevent a stain from setting in. Wash scrapes on kids (or yourself) when they slide on the pavement, fall off a bike etc. It will clear any germs that could cause an infection. I know there are more uses, but these are the ones most used by me. When my kids were young I was never without this soap in the house. Now it is hard to find in some places. I have to drive over an hour to find a store that sells it, but did find a place I can order it from, Soaps Gone Buy has all kinds of soaps for laundry as well as other older soaps no longer found in the stores. Give it a try! It Works for Me!